Microblading/powder brow tattoo is a popular enhancement technique that improves the shape, definition and thickness of the brows. With the extensive knowledge on brow shaping/rebalancing Michelle can create the very best brow shape most suited for you using this genius method ‘microblading/powder brow’. Like many of her already satisfied customers Michelle always aims to have you walking away feeling happy and satisfied. The semi permanent makeup prices for new procedures does not include a 2nd free appointment. If any further touch up is required within 3months time an additional charge of £50 applies. Unfortunately Microblading will not be suitable for your skin type and the Microbladed strokes will not last as they fade faster and therefor more touch ups and additional appointments are needed. Please bare this in mind. An Ombré/Powder Brow is recommended as a better choice as the results last longer and may give better results. No Botox or Fillers, fruit or milk acids, laser treatments, chemical peels or exposure to strong sunlight 30days before procedure. Microblading is a manual hand method of semi permanent cosmetic tattoo for your eye brows which creates natural fine looking hair strokes to either enhance, reshape or create natural looking appearence on the brows. The blade is made up of tiny needles that deposit pigment under the skin (just below the epidermis and the most shallow part of the dermis) making extremely fine natural hair strokes. The difference between powder brow tattoo and microblading? You will need to make sure that there are no contraindicates that can stop you from having the treatment done or anything that you may need to be aware of that can effect the healing process and the result after your treatment. Michelle can go over any quiries you may have before the appointment. If you are a successful candidate for microblading/semi permanent makeup you will be asked to come in for a patch test at least 24hrs before your appointment and a brow tidy/wax is recommended 1wk before the treatment where your brows can be prepped and the desired shape can be determined more easily. On the day of you scheduled appointment you will be numbed with a suitable topical anaesthetic cream that is applied for 45mins to 60mins depending on how sensitive your skin type is. Once completely numbed your brows are measured to achieve the best possible symmetrical shape and colour is decided upon to create the most natural look for you before starting the procedure. The whole procedure can take up to 2hours. The more sensitive you are the more uncomfortable it can be but initially the treatment should only feel slightly uncomfortable and a little scratchy if not numb with some pressure. You are topped up with a second numbing gel that gets to work quickly to help make the treatment be as comfortable as possibe. With the pigment only being deposited into the shallow part of the skin the area will nataurally fade over time. Microblading/shading typically lasts 1-3yrs depending on skin type (dry,oily,normal), age (young/mature). A good skin care routine is key to longer lasting effects of the pigment. Clients who tan, uses products with AHA or Glycolic acid will fade faster with the skin resurfacing faster. Colour retention will vary also from as everyone’s skin is different. 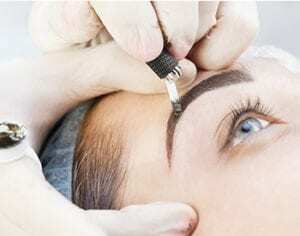 To maintain the brows and keep them fresh a top up is suggested every 12-18 months. It takes 7 -14 days to heal but there is no down time. The skin will fade up to 40% as it starts to heal before It starts to scab over. 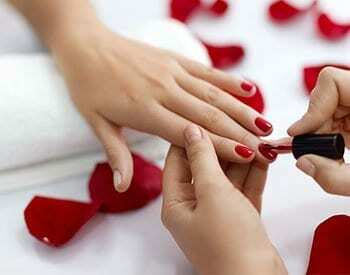 The colour will appear very dark and may feel dry/itchy and you may have slight swelling and redness around the area. the skin will start to flake over the duration of the healing time. A suitable brow tattoo healing cream is used 2-3x daily to keep skin dry and help the healing process. Colour is fully set in around 4wks where the true pigment colour will show more clearly. A top up session is then needed around this point to go over any areas that may have faded and define the strokes so that they appear more crisp.